Often, a person who becomes interested in wild mushrooms does so because they want to learn how to identify the ones that are edible. This is a complicated issue. Recently one of our members --DufferinShroomer-- offered the analysis which I have pasted below. I'd like to put this out as a beginning --first draft-- of a possible eventual statement to be pinned as a permanent list of recommendations. Comments are encouraged. EDIBLE: about 10% of wild mushrooms are considered edible. That usually (but not always) means they wont hurt most people and there is nothing about the mushroom that would cause most people to absolutely refuse to eat it. Note that being edible doesn't mean that it is tasty. It also doesn't mean that it is completely safe either. Where I live it is illegal to send a kid to school with a peanut butter sandwich because clearly peanuts are poison and they kill quite a few folks every year. Chocolate coated slugs are also apparently edible but I'm not going to eat one. Probably less than 5% of mushroom species are good enough to want to eat them. POISONOUS: This is another sort of vague category. In general it means that if you eat a mushroom in the poisonous category you are going to regret doing so. You might regret it because it kills you dead. You might also regret it because although it doesn't kill you it makes you very sick. In general if some book or expert calls a mushroom poisonous don't eat it. About 10% of mushroom species can be called poisonous. 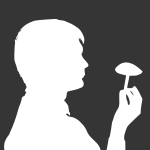 INEDIBLE: This group covers the remaining 80% of mushrooms. They might not be poisonous but they have some feature which will make you not have any interest in eating them. Those hard shelf mushrooms that grow on the side of trees are probably not poisonous but no amount of boiling will soften them up enough to let you chew them. Other species might have the texture of a slug or a horrible smell. Some mushrooms are seriously bitter and there is just no way you can get one down. Others might be so small that it would take a week to gather enough for a mouthful. Some taste pretty bad. Interestingly most of the mushrooms reputed to have medicinal value come from this group. You cant eat them really, but if you dry the right ones and then grind them to a powder you can make a tea which probably will taste pretty bad but which might have some health benefits. EXCEPTIONS: There are not very many rules with mushrooms that are always true so you have to take what you find in a book in context and even then be careful. Let me give a few examples. Almost everybody will agree that the morel is right up there in the top 3 best tasting edibles. Morels have been known to send some people to the hospital. Seriously. The issue is that they contain a toxin which dissipates when the mushroom is cooked. If you eat raw morels you are just begging for trouble. Another troublesome mushroom is the honey mushroom. Almost all books call this a tasty edible. The truth is though that the honey mushroom causes a significant percentage of the population to experience a nasty 3 day belly ache. Some people parboil them for 3 minutes before cooking them and this may alleviate the problem for at least some people. But, some people report being made ill by eating even honey mushrooms that have been parboiled. There have been some serious issues with some mushrooms in some places. Tricholoma equestre is one such mushroom. Millions of these are eaten every year with no problems. In Europe however these mushrooms have been associated with fatalities, and many European countries outright ban their sale. No one is completely certain why folks in North America aren't dropping dead from these. It may be that the the North American version is a different species than the European species and it just looks the same. Or the mushrooms that were associated with the illness may have been gathered from a polluted area, which is yet another concern. Is this species of mushroom generally okay to eat? Maybe, but I won't eat them. Scientific research has not yet resulted in any definitive answers to the questions about Tricholoma equestre. The thing is that it is tough to learn to eat mushrooms safely from a book. Far better is to learn from someone who knows what they are doing plus some books. Let me add one sobering thought then I'll quit typing. I live in Ontario Canada where we are thought to have about 2,000 species of mushrooms. Many mushroom books will show about 300 species with pictures and descriptions. So I can find a mushroom and identify it from that book with 300 species and say yah there it is right there on page 87. But what if instead of being that mushroom on page 87 it is really one of the 1700 species that didn't get included in the book? Or it may even be a type that's in the book, but the ones pictured in the book look a bit different than mine. Identifying mushrooms can be very tricky stuff. Be careful out there. Great post Dave! This should probably be one of the header posts that always remains at the top for newbies to read. My only concern is that the EXCEPTIONS section references some specific examples for which the status may change in the in the not-so-distant future. I think it may be better to just mention that: 1. the edibility status of a given species/type of mushroom sometimes changes as new information becomes available. 2. Some types of mushrooms often listed in field guides as "edible with caution" are likely inedible for some people. 3. Mushrooms judged as "edible" that are found in an area that may be contaminated should not be eaten. 4. One thing we sometimes do on this website is discuss particular concerns associated with particular types of mushrooms. Dave feel free to modify it in any way you choose. What I posted wasnt any sort of attempt to make any sort of definitive statement about anything really. Sometimes I get nervous about folks who want to charge off into the woods and eat everything they see and I get the urge to post up a caution. I agree with everyone who has suggested that the site should have at least one firm warning about the potential dangers of eating wild mushrooms and if somebody wants to use what I wrote as a starting point for that and borrow from it then I say go for it. Okay, I made a few relatively minor changes. Actually, I retained the specific examples in "exceptions" but changed the explanations just a bit. If anyone has a recommendation, let me know. Great post, Dave. Thank you. Yes, everyone should follow this advise.